Starting in China many years ago, Tai Chi was used for a mind-training discipline. It would center the body and the mind and help people to grow stronger in those regards. It would help with mental discipline, help with learning to meditate, strengthen muscles, get balance and much more. It started as a defense mechanism but when more people caught onto Tai Chi, it became more used for improving body and mind health. 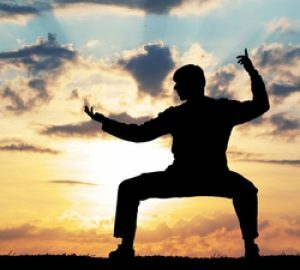 Using Tai Chi in your fitness regimen can help you gain various health benefits. You can find out right here just why you need to start practicing Tai Chi. As you get older, your body naturally starts to get weaker and this can cause more pain in your body. Your muscles may be aching and stiff. You might find it more difficult to do some things that you have been doing daily for a long time. You may even have chronic pain for other reasons as well. The truth is that exercising regularly is almost like a miracle when it comes to curing pain and soreness in the body. Tai Chi can help you in relieving that pain and soreness. This is an intensive form of workout and when done correctly it can help to lubricate your muscles and body to provide that relief in major ways. 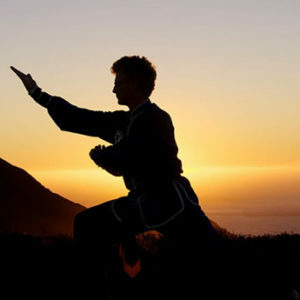 Tai Chi is an amazing way to getting stronger and building up your stamina. With the brief movements, you will be targeting all the joints and muscles throughout your body. The exercises with Tai Chi help you to build strength in individual muscles and in major muscle groups as well. It is important that when doing these exercises, you give attention to all muscle groups. If you want to tone and strengthen your body in addition to building stamina, you must take part in the whole process of Tai Chi. Those who have been using this form of workout have been able to move faster, get stronger and workout for longer. You may even get some more pleasure in bed after doing Tai Chi as well so that is a plus. Tai Chi is a type of martial arts that helps you to create balance in the body. It also helps you to practice exact movements carefully and with control. This process is done in steps so that you can learn and so you can gain more balance and coordination too. This can help you in many ways including to meditate, defend yourself, exercise more productively and relax throughout the day as well. Better sleep is something that everyone needs. The great news is that with Tai Chi you get to discipline your body. This is discipline your physical and mental fitness. These are things you need to make sure you are getting better sleep. With Tai Chi, you can also learn how to meditate and meditation equals better sleep. These are the amazing benefits of Tai Chi for your nutritious lifestyle. What do you think about this? If you are ready to get all of these benefits, you can start learning how to practice Tai Chi today!